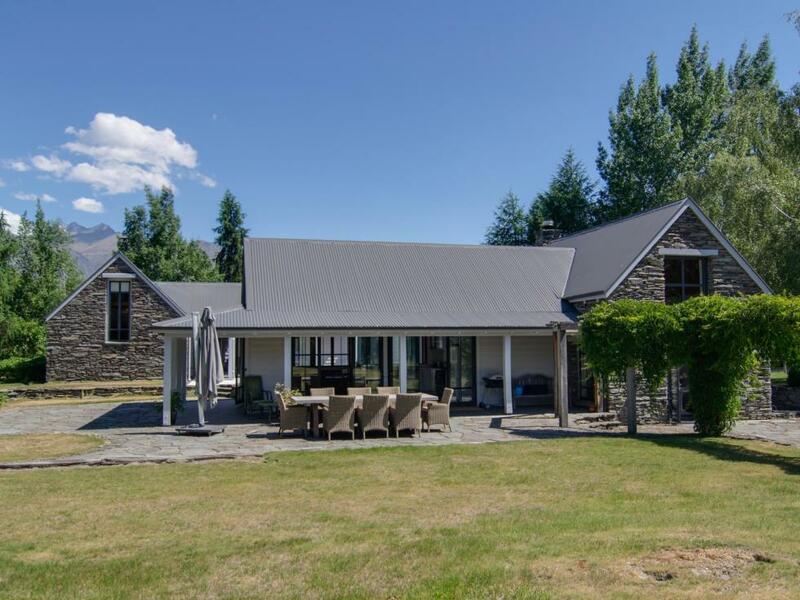 The property is set in a small enclave of exclusive properties in a dress circle location, from here you can enjoy the complimentary bicycles and enjoy a bike ride to Lake Hayes or take a walk by foot to the lakes edge. 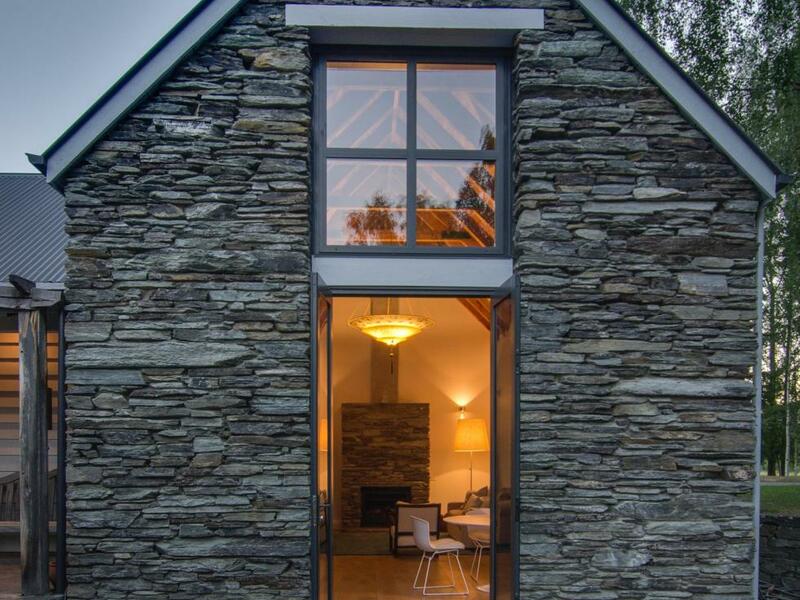 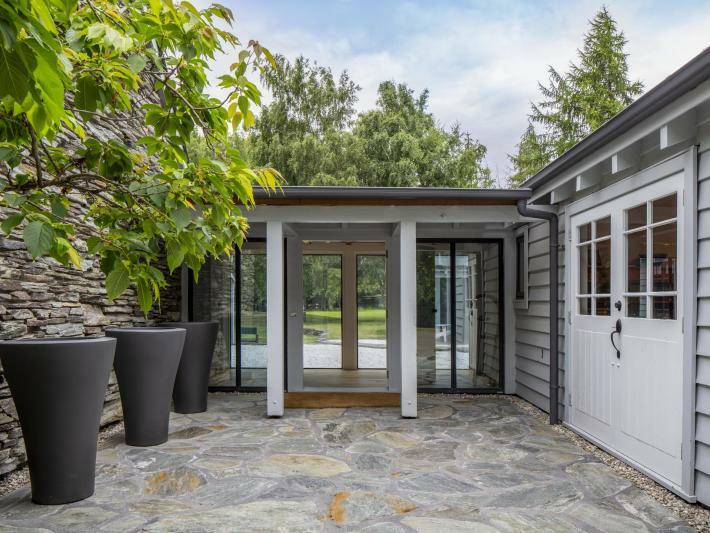 Taramea Arrowtowns' charming entrance of schist stone and cedar opens into a glass hall which overlooks a central courtyard, and leads off in either direction to the living or bedroom wings at opposite ends of the house. 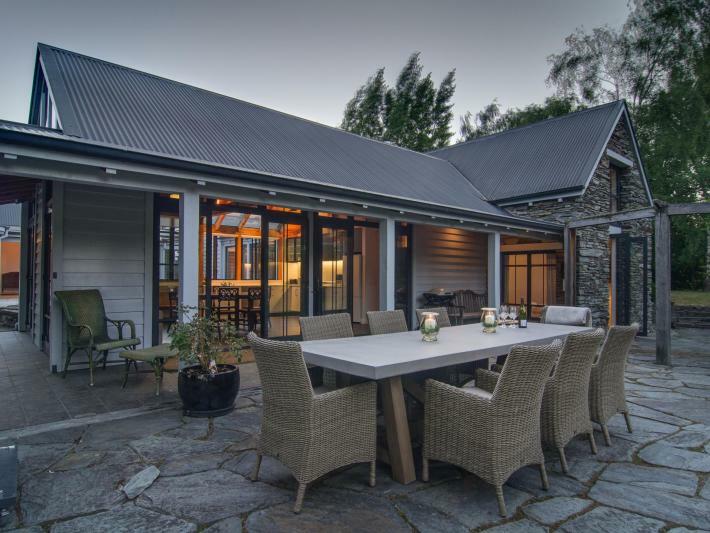 The light filled, open plan kitchen with a wood burner and large traditional farmhouse cooker opens out onto the garden, where a veranda wraps around the house creating great indoor / outdoor flow, an entertainers dream. 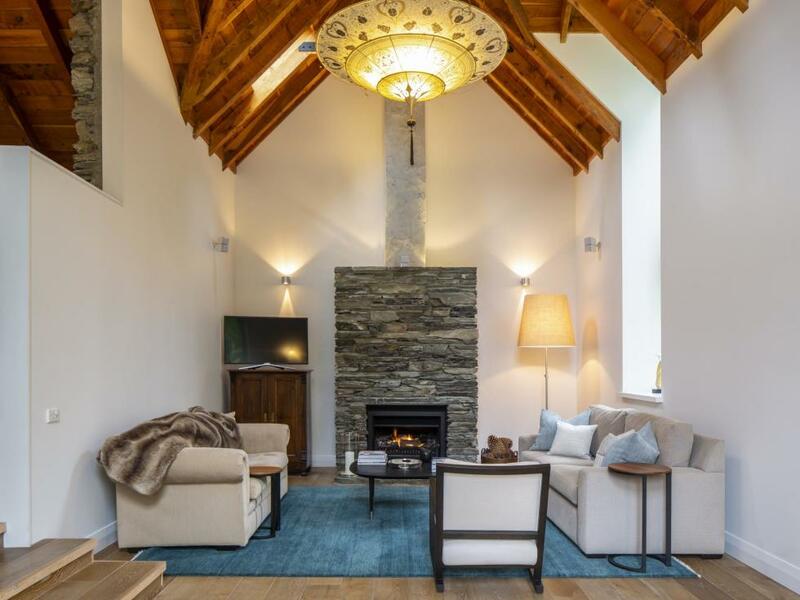 The lounge is beautifully styled with high vaulted ceilings, smoked oak floors and southland beech ceilings to create a cosy space to enjoy reading a book or a night by the open fire. 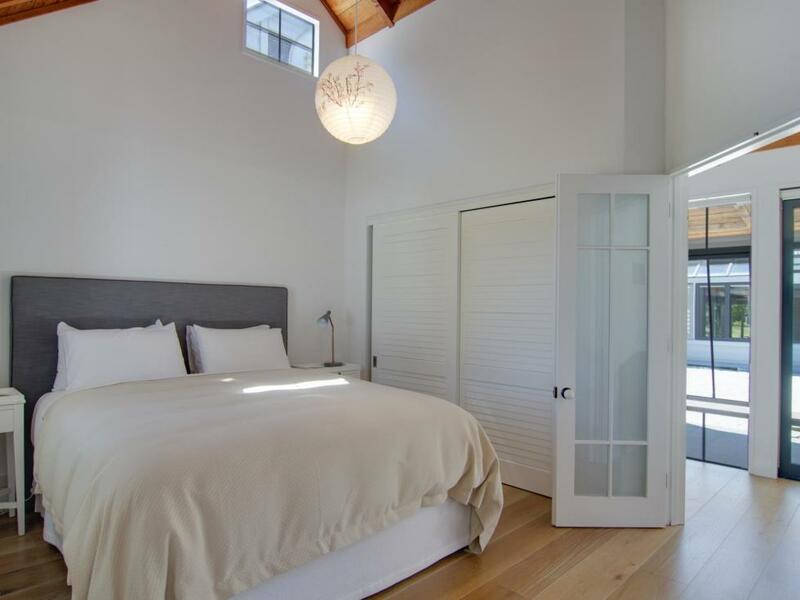 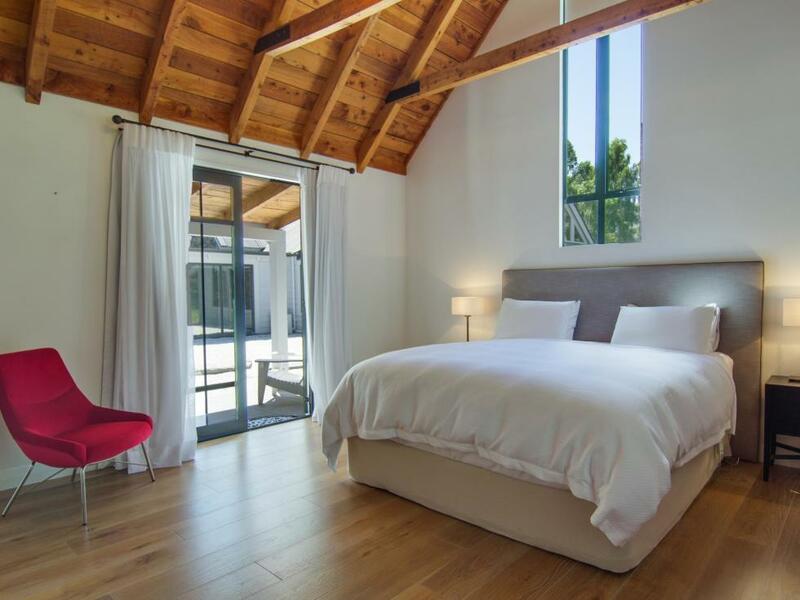 The Master bedroom is spacious and offers quality bedding with a light and airy natural finish, the master bedroom has an ensuite bathroom with double height ceilings and opens onto the courtyard. 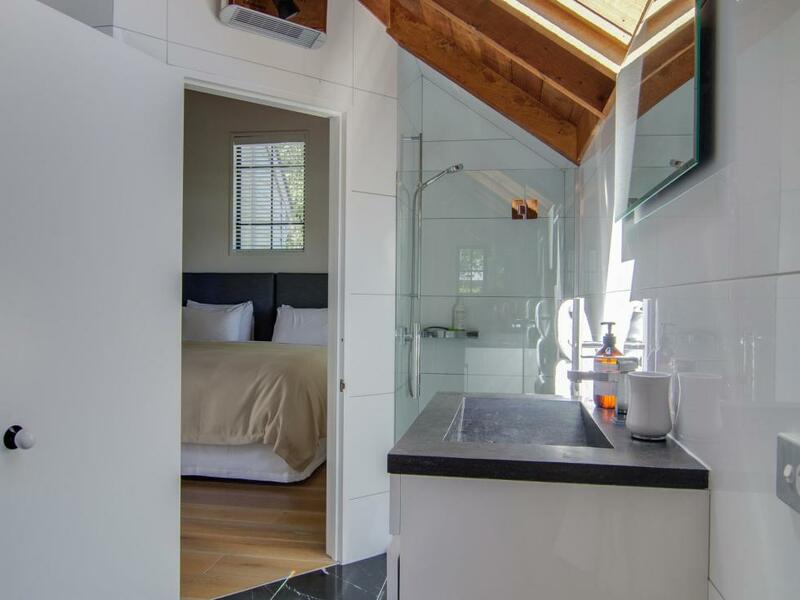 Two further double bedrooms are located on the ground floor with access to a shared interconnecting bathroom. 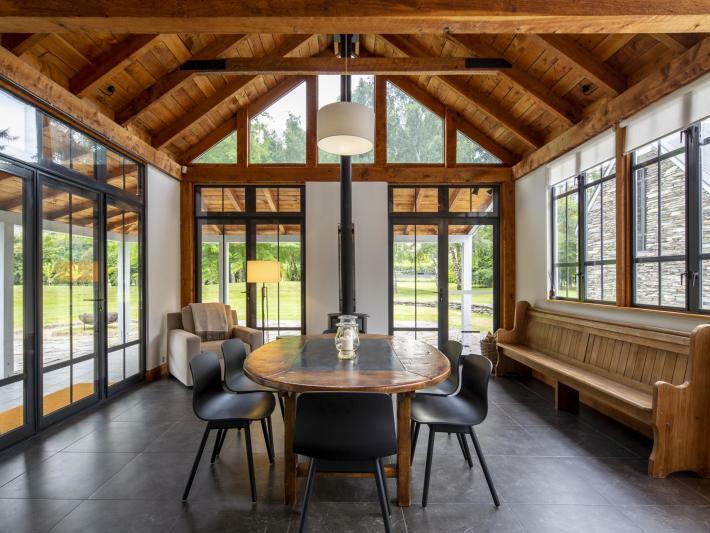 The house has a wonderful study area where you can connect to the world or enjoy the serenity that this room offers to read the morning paper with your coffee. 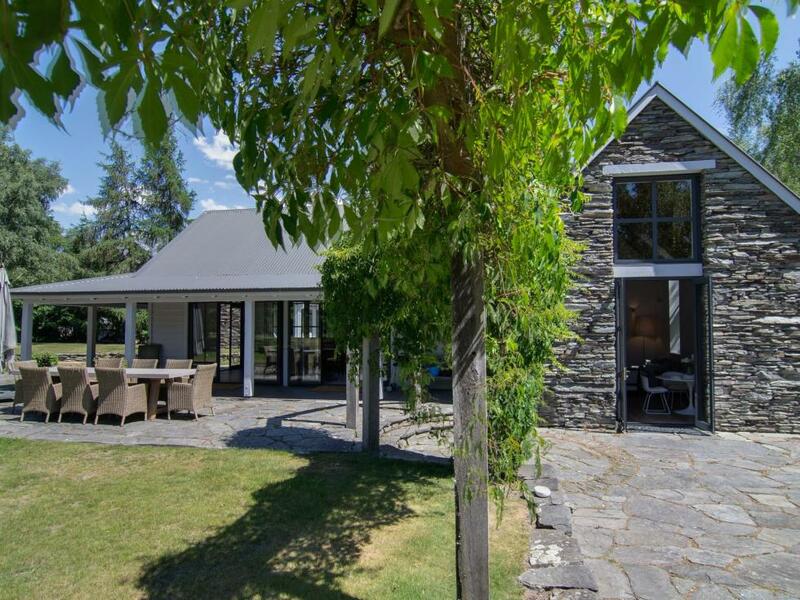 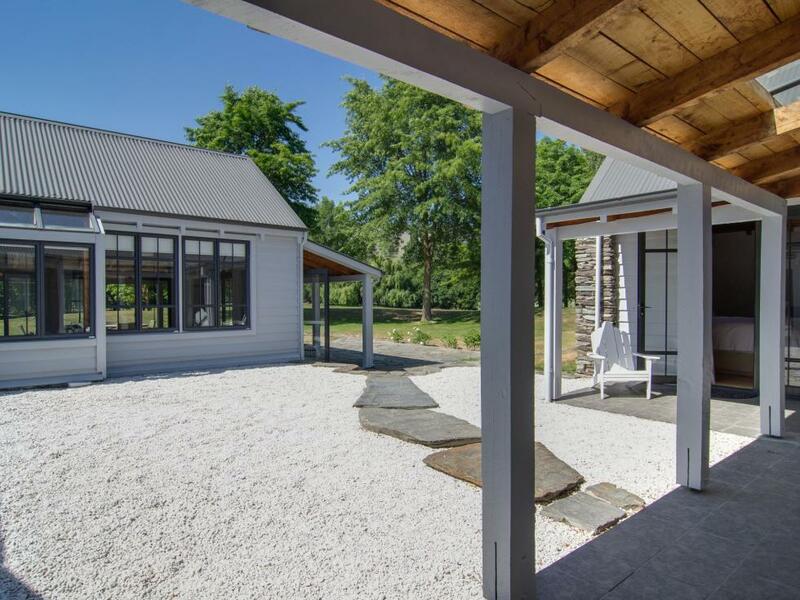 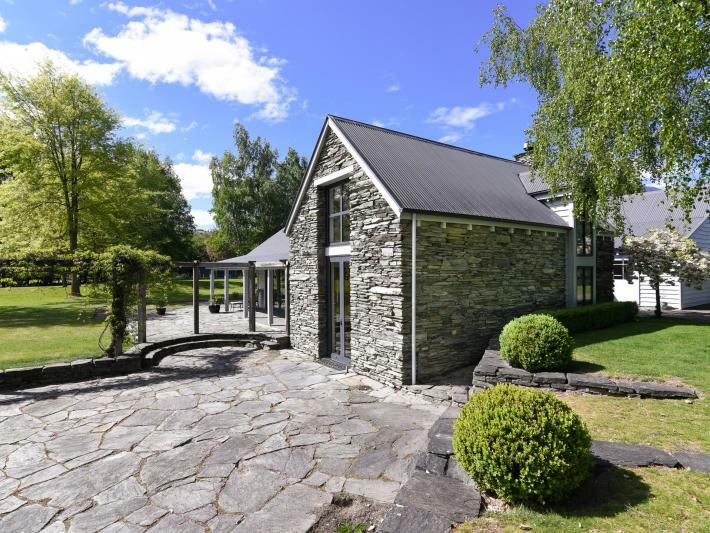 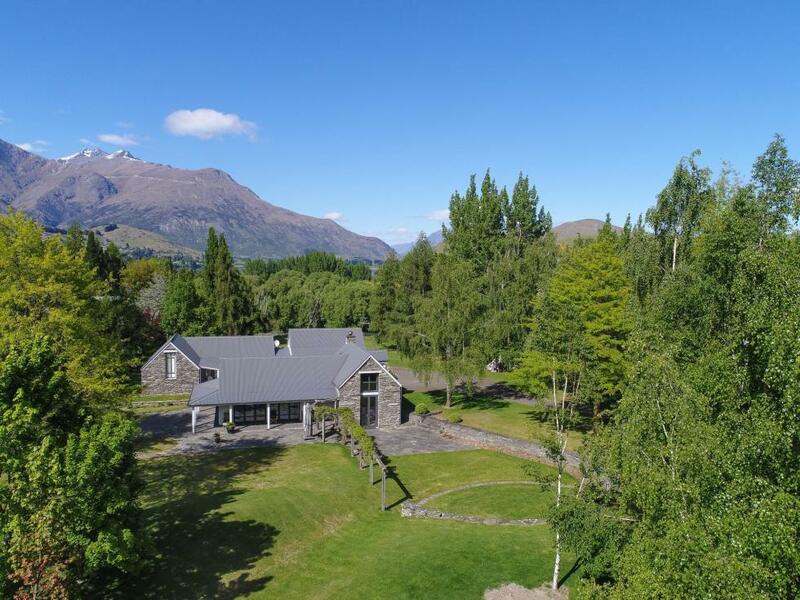 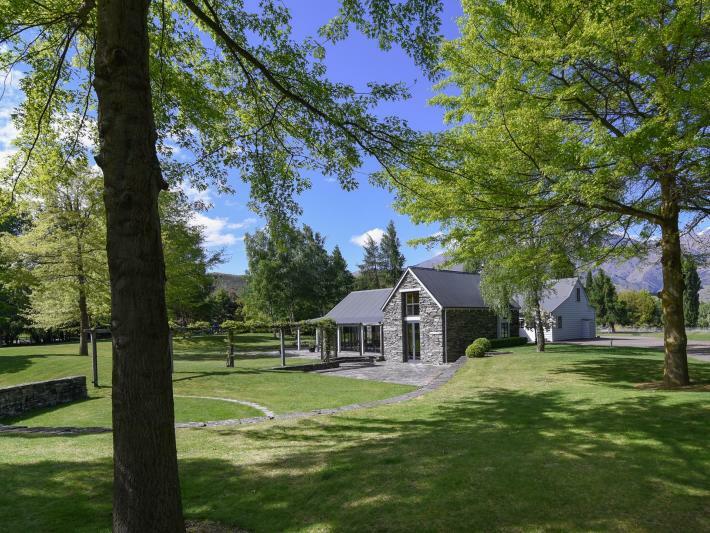 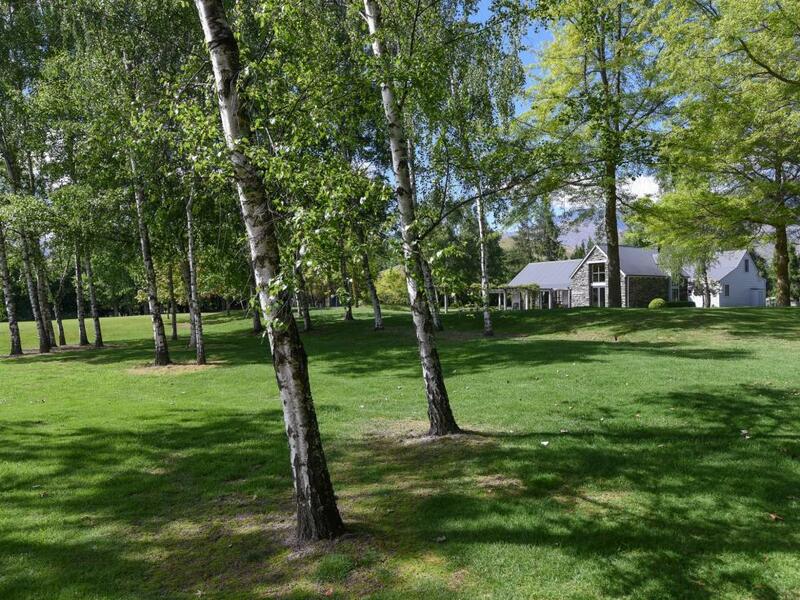 A sunny and tranquil haven, this property has it all for families and friends to enjoy the a peaceful setting in an exclusive location yet only a 20 minute drive to the hustle and bustle of Queenstown, 10 minutes to Coronet Peak or 5 minutes to the historic Arrowtown.